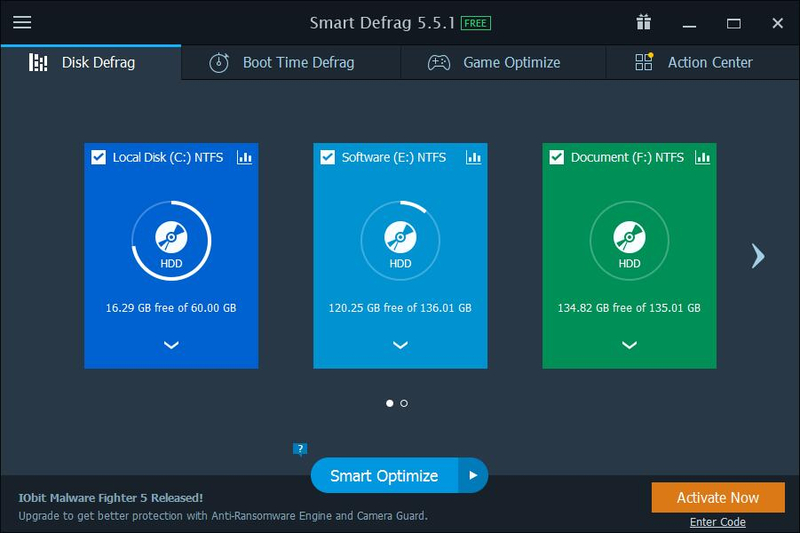 Smart Defrag 3.3.0.369 - Download Win Apps. FREE Defragment Tool Automatically Speeds up Computer in Minutes..
SD 3 is a FREE, light, and stable disk defragment tool designed for maximum hard drive performance. Based on IObit latest disk defrag engine and "Boot Time Disk Defrag" technology, SD 3 not only provides defragmentation, like any typical disk defragmenter can do, but also intelligently streamlines your files based on using frequency, thus accelerating disk speed for faster data access!